The word IndiPattaani was derived from Enthupattaani. IndiPattaani prizes are awarded to the best entries submitted within a pre-determined timeframe. 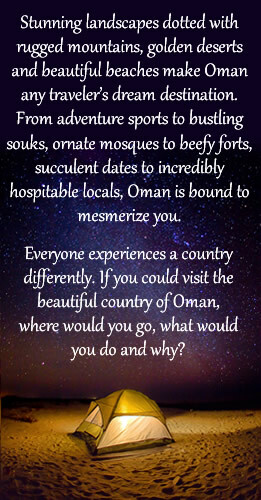 myworldfoodandtravel.com - What secrets do the mountains of Oman hold? Let's find out! hipstervoice.wordpress.com - Suddenly, my eyes my dear friends were busy in capturing the beauty of the blue clear water and everything around them. Visit to Oman-The beautiful Land. hipstervoice.wordpress.com - Trust me guys ! writing to get selected for OMAN is OMG! Thing and it really takes a lot of tries and tries so that my entry to be selected but then second thought hey! write what your heart says !